Umberto Lenzi died about a week ago. We pay tribute to his memory the way we tend to do on this show. That is, we review his most notorious film. We didn’t say it was his BEST film. We said it was his most notorious. 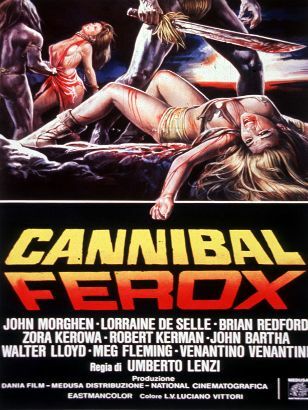 Here, from the man who originated the short-lived cannibal “genre” of trash cinema, is Cannibal Ferox. This entry was posted in and tagged cannbial, Horror, lenzi, podcast, umberto. Bookmark the permalink.